injection and exhaust after-treatment products. 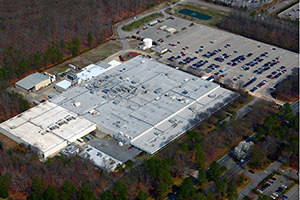 The Newport News plant is part of Continental’s Engine Systems Business Unit in the North American region. The plant produces low-pressure gasoline injection and exhaust after-treatment products. It already has produced more than 265 million fuel injectors. The city’s support over the years was one of the factors that helped the company make its decision. “We were comfortable with the location and the workforce,” Kilgore says. The company will make an approximate $150 million investment in its Newport News facility over a number of years. The project is expected to create about 500 jobs, nearly doubling the plant’s current workforce. “We will have a whole range of jobs, from straightforward manual labor to highly technical engineering jobs,” Kilgore says. The expansion will allow Continental to start three product lines for the automotive industry: high-pressure injectors, high-pressure fuel pumps and turbochargers.